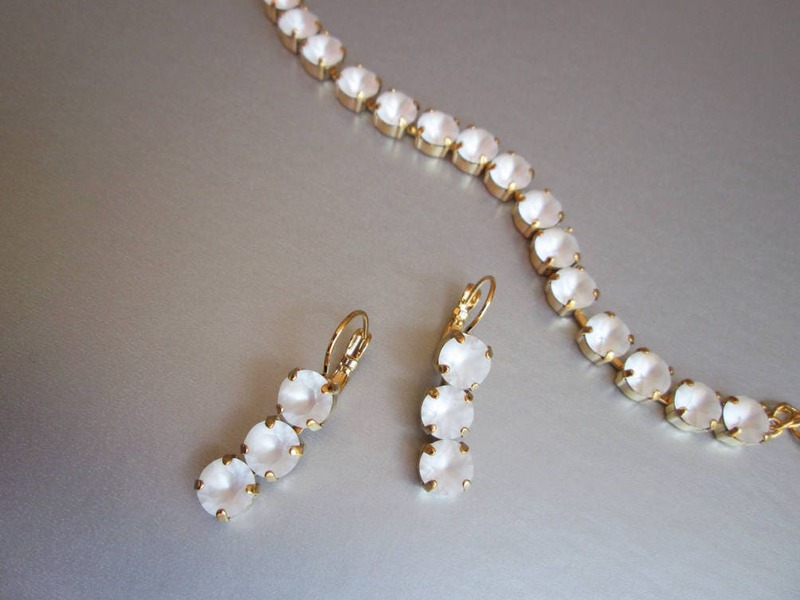 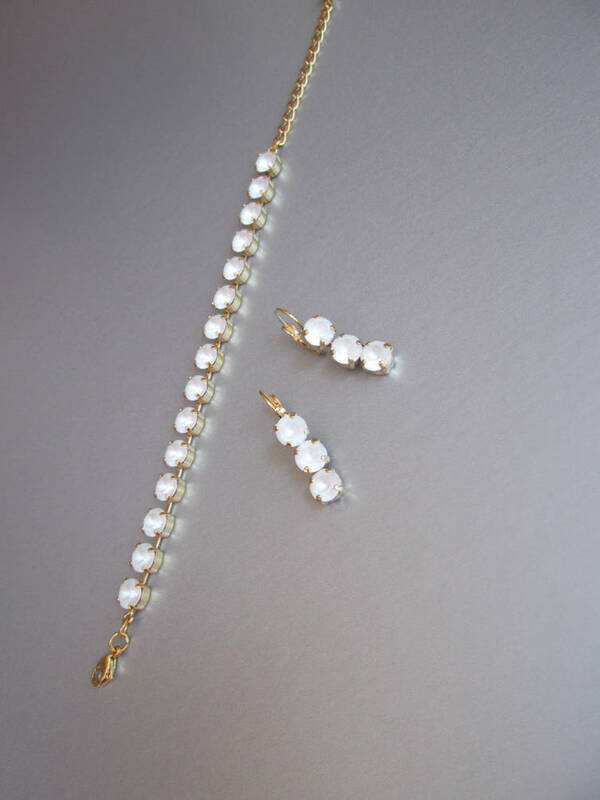 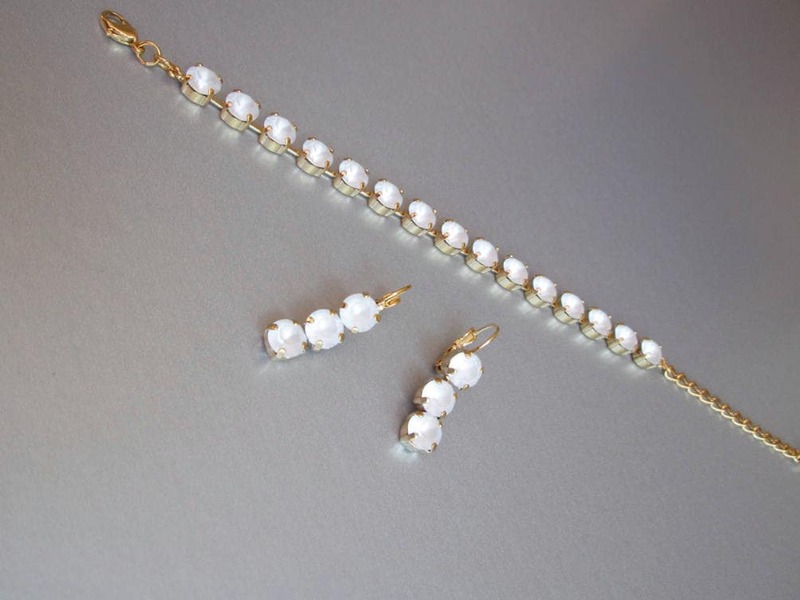 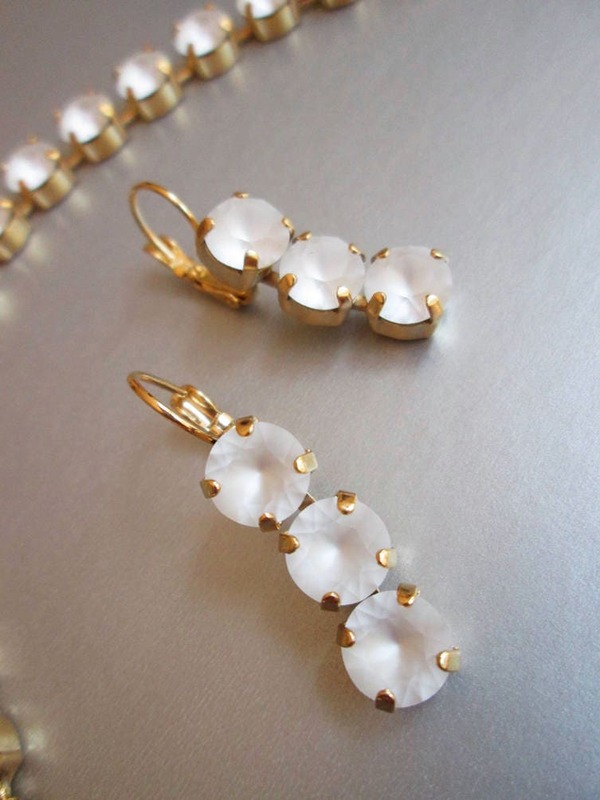 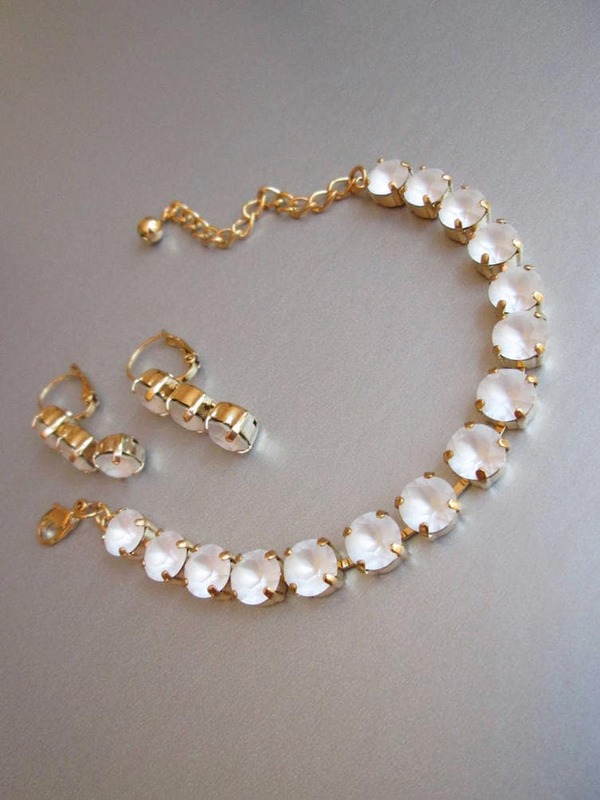 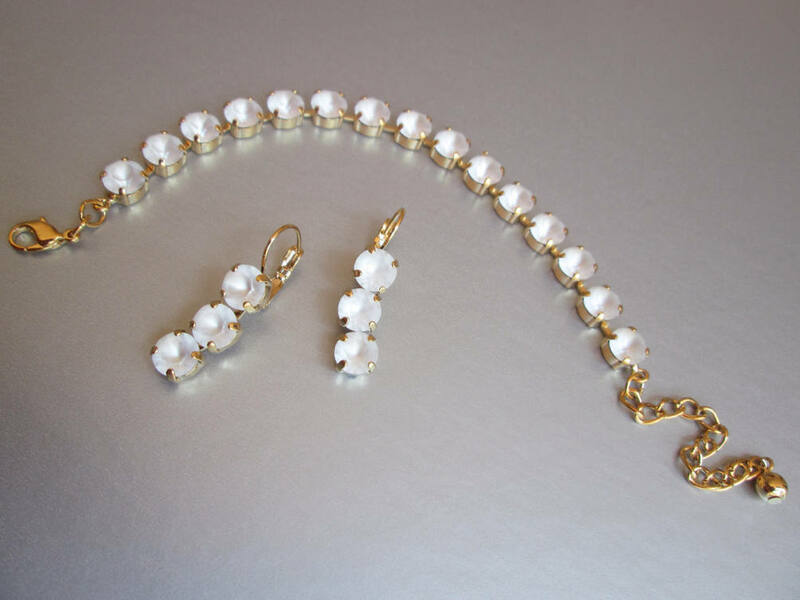 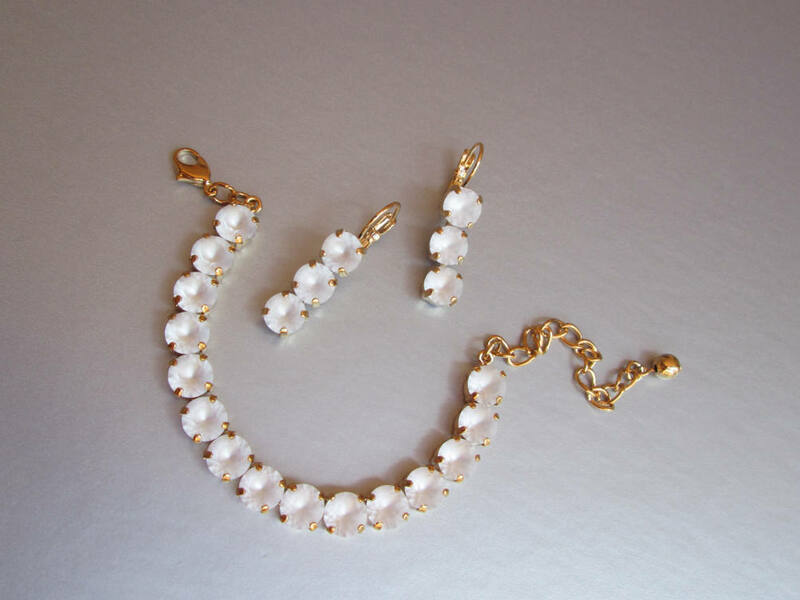 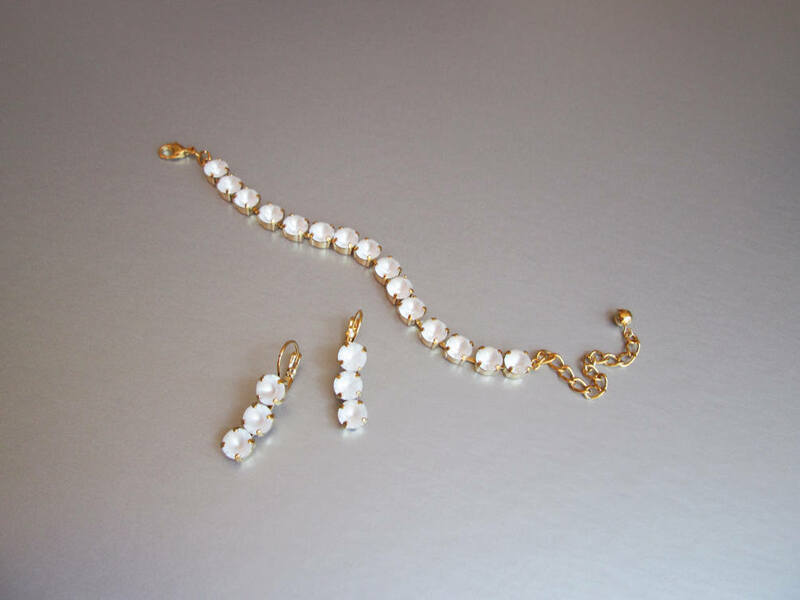 Achieve a simple clean minimalist look with this bridal earring and bracelet set. 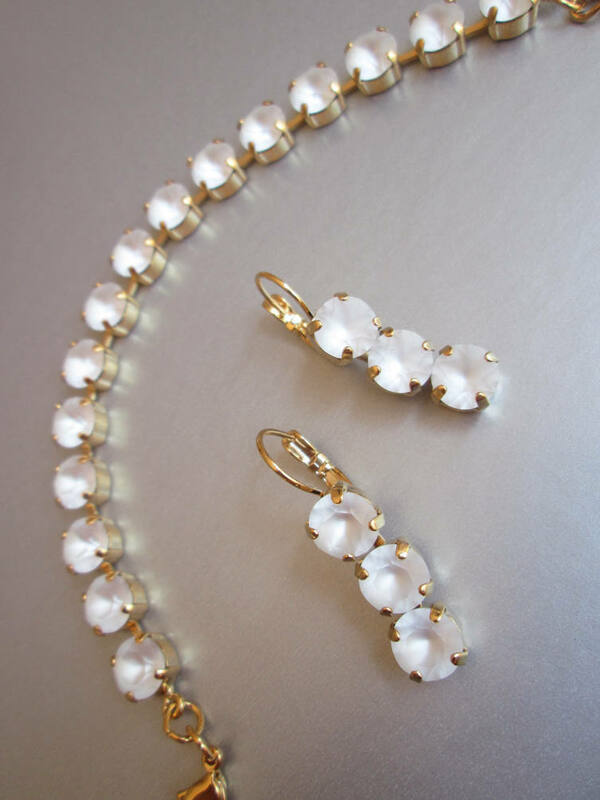 The set features beautiful frosted matte Swarovski crystals. 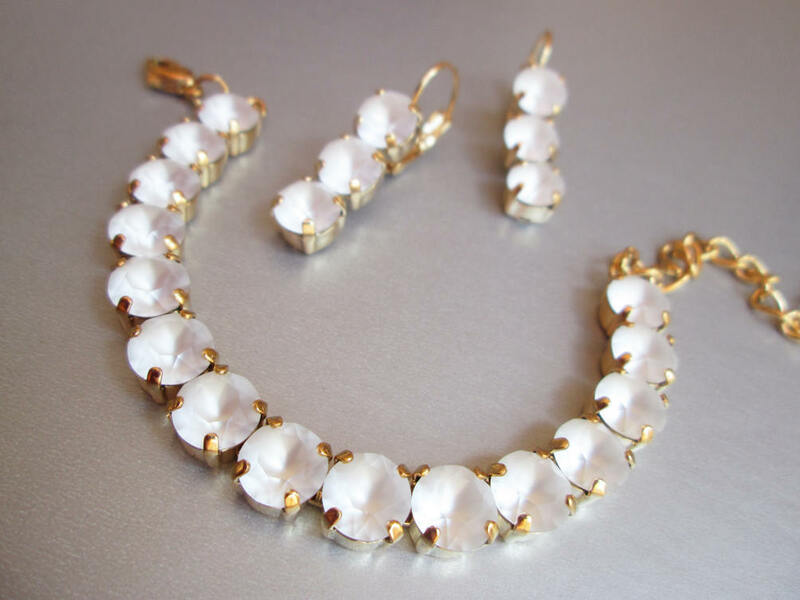 This jewelry set is available in gold, silver or rose gold finish.